Tender tea cakes flavored with fresh grapefruit and Campari. 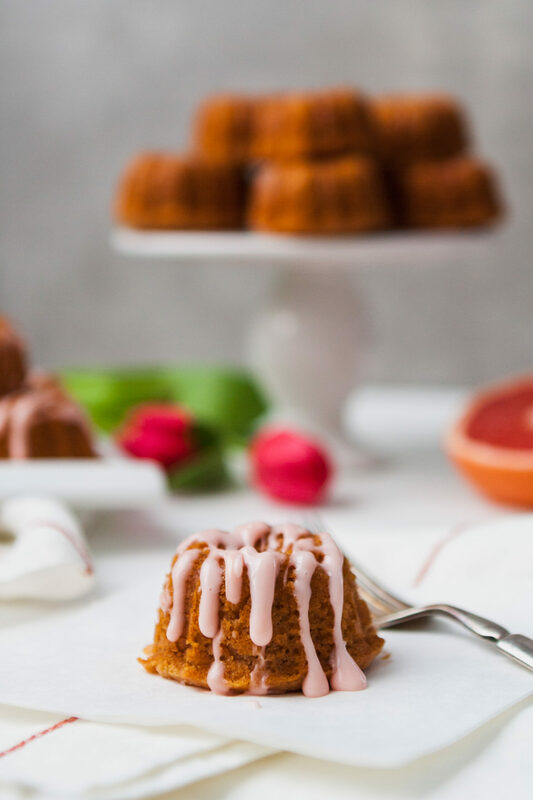 These mini cakes are naturally sweetened with honey, easy to whip up, and elegant enough for a fancy party. Last year my sister gave me this adorable, retro, baby bundt pan for my birthday. Or is it a bundlette pan? Or fluted muffin pan? Whichever name you prefer, it’s a cute pan. And this one, aged and well used, but surprisingly in good shape, has a cream-colored enamel bottom and just the right amount of scuff marks to show for its baking past. This Nordic Ware pan (representing the midwest) is fun, heavy-duty, and well, just damn cute. It’s got to be the most attractive piece of kitchen equipment I have. Although that probably isn’t saying much, I’m the hand-me-down queen. Up until last Christmas I was whipping up cakes, cookies, and the likes in a Kitchenaid mixer that was atleast 60 years old. Aside from the janky plugin (it was slightly scary), and the screws poking out of the bottom of the base, it worked better than the new versions today do. Quality these day. I’m smitten with my champagne-colored Kitchenaid. It’s a beaut too. Anyway, enough about my pan, I’m rolling my eyes now too. About these cakes. OK these cakes. 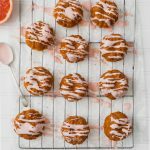 First off, what better way to enjoy the last of winter citrus and to kick off spring than with mini grapefruit cakes. This recipe is so easy to whip up, it’s basically a quick-bread recipe baked into tea cakes. 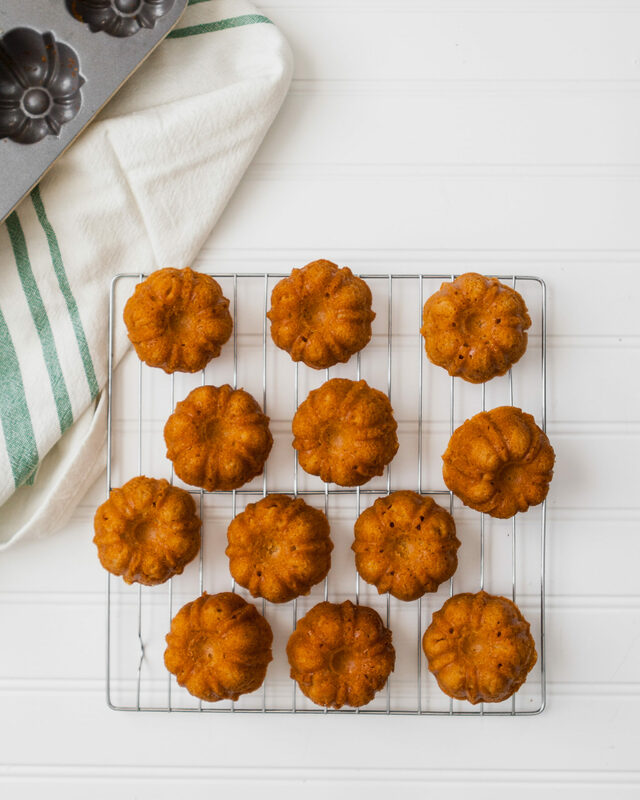 Plus, these cakes are naturally sweetened, yes you read that correctly. 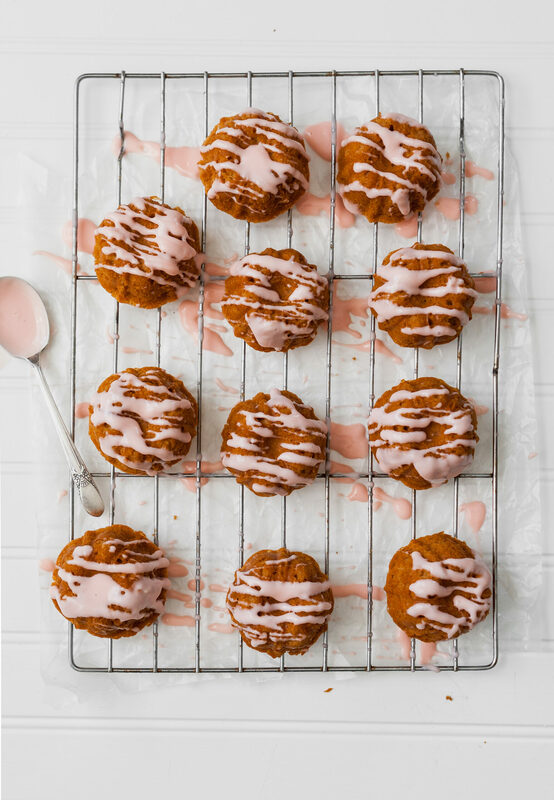 No refined sugar in these babies, they’re simply sweetened with honey. And as an extra kicker, this recipe can easily be made gluten-free or with regular all-purpose flour. Developed with the home-baker in mind, the same amount of regular all-purpose flour can be used in-place of my favorite gluten-free flour blend from NuLife Market. Yes, gluten-free baking can be that easy. It can be a simple swap. No calculations, added gums or powders, no magic. I’m serious, if you haven’t tried NuLife Market’s Always Gluten Free All-Purpose Flour Blend, it’s definitely worth a try, especially if you bake gluten-free a lot. Check out this blueberry muffin post for more on why I love this flour blend. FYI, keep an eye out this week on Facebook for a big giveaway! NuLife Market and I are giving away a 1-year supply of NuLife Market’s Gluten Free All-Purpose Flour Blend. Be sure to follow ZK on Facebook to say updated on the giveaway! Tender tea cakes flavored with fresh grapefruit and Campari. 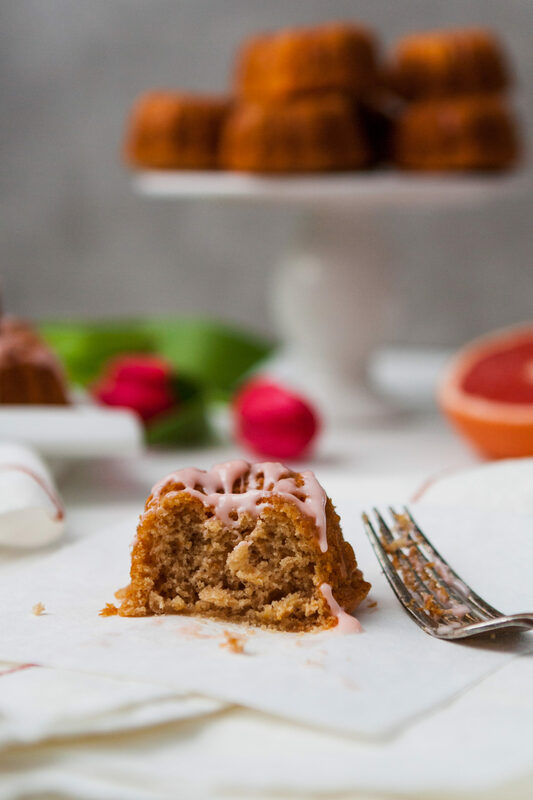 These mini cakes are naturally sweetened with honey, easy to whip, and elegant enough for a fancy party. Finish with either a honey glaze or cream cheese glaze. Adjust oven rack to middle position and heat oven to 350°F. Whisk honey, eggs, butter, milk, zest, juice, Campari, vanilla, and orange together in a large bowl. 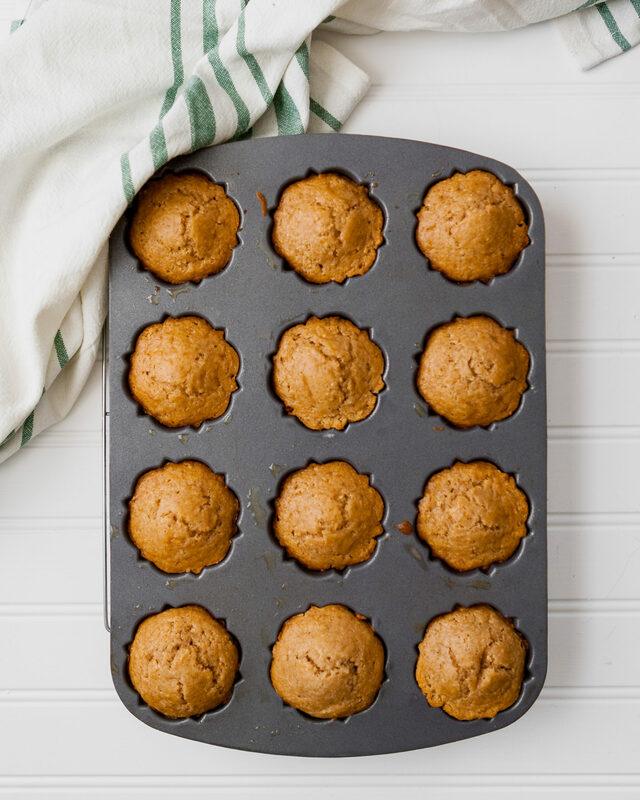 Thoroughly coat a standard fluted muffin pan with nonstick spray or oil (12 two-ounce wells). 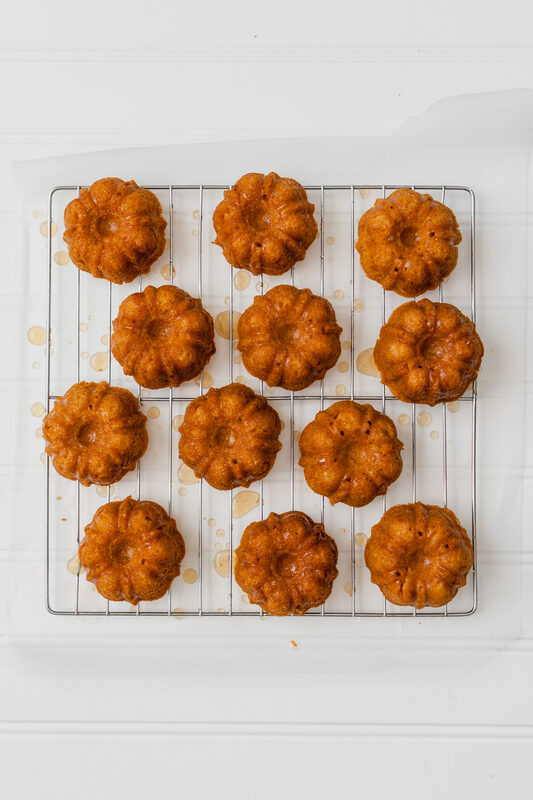 Fill wells of muffin pan three-quarters full with batter and bake until cakes are golden brown, spring back when lightly touched, and a toothpick inserted in the centers comes out clean, about 20–22 minutes. Transfer pan to a wire rack and let cakes cool in pan 10 minutes, then invert pan onto wire rack, remove pan, and let cakes cool completely. Repeat with remaining batter. 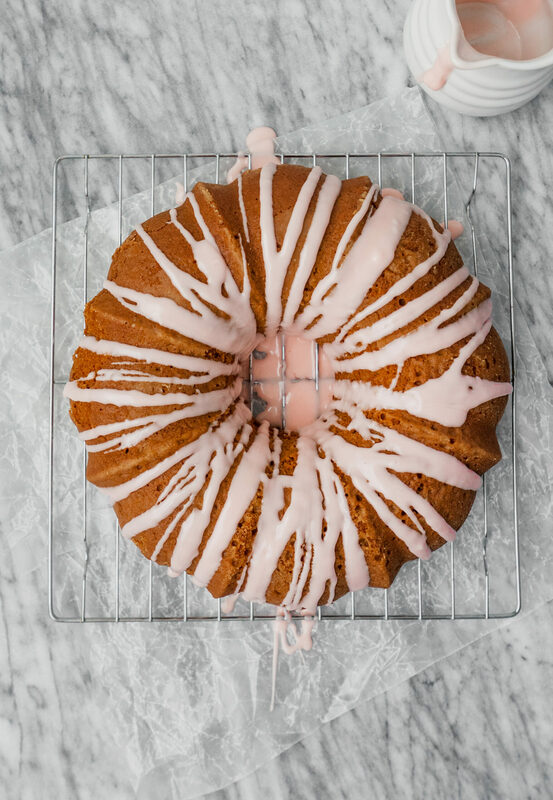 Thoroughly coat a 10- to 12-cup bundt pan with nonstick spray or oil. 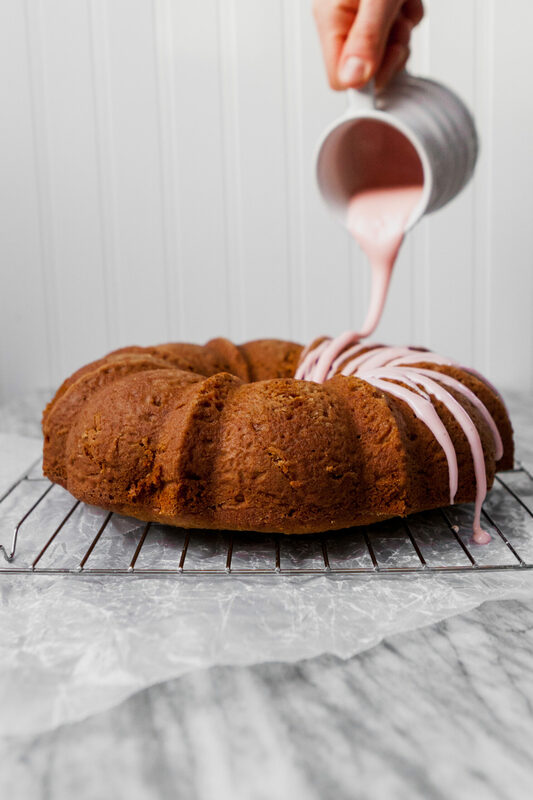 Pour batter into prepared pan and bake until cake is golden brown, springs back when lightly touched, and a toothpick inserted in the center comes out clean, 50–55 minutes. 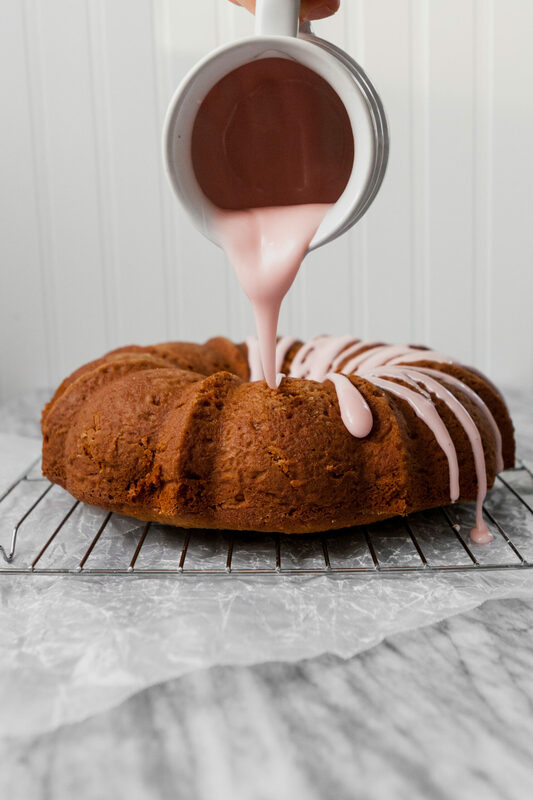 Transfer pan to a wire rack and let cake cool in pan 20 minutes. 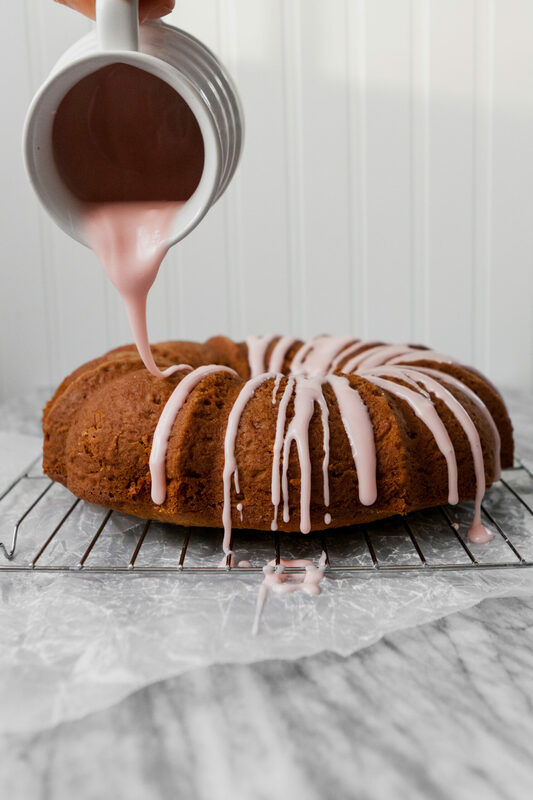 Gently run a knife around the edges of the pan, invert pan onto wire rack, remove pan, and let cake cool completely. Whisk together honey, juice, vanilla, orange, and salt. Brush over cooled cakes (or cake). Beat cream cheese with an electric hand mixer (or some elbow grease) until smooth. Beat in confectioners’ sugar, milk, Campari, vanilla, orange, and salt. 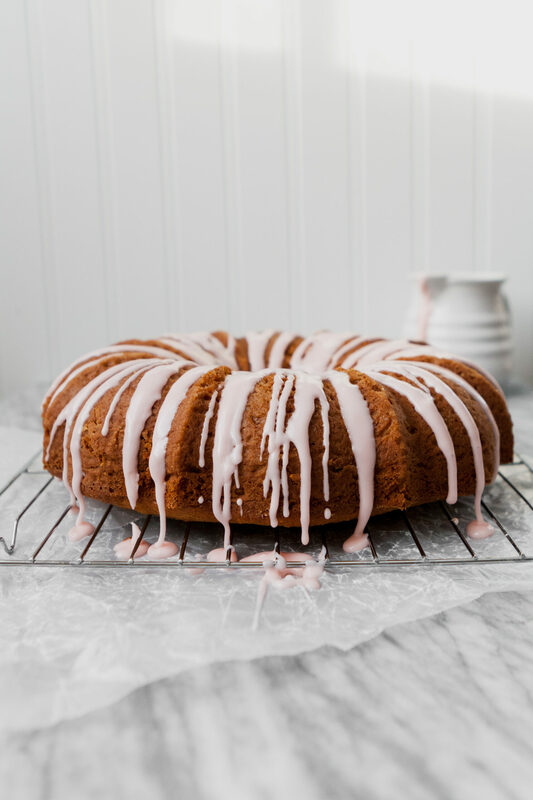 Drizzle over cooled cakes (or cake). A range is given for the grapefruit zest to accommodate preferences. For those who enjoy the tart, slightly bitter, aftertaste of grapefruit, then lean towards the 2 tablespoons of zest. If you aren’t sure you like the bitter aftertaste, stick to using just 1 tablespoon (from 1 grapefruit). Similarly, I list campari or aperol in the ingredient list. This is also due to flavor preference. Campari and Aperol are both Italian aperitifs that contain floral and herb notes. However, Campari is a more bitter and not very sweet while Aperol is much sweeter and less bitter. Again, if you like a touch of bitter, opt for the Campari. If you aren’t so keen on the bitterness, choose Aperol. If you’re interested in learning more about the two aperitifs, check out this article from Food and Wine, The Difference Between Campari & Aperol, for some more in-depth information. 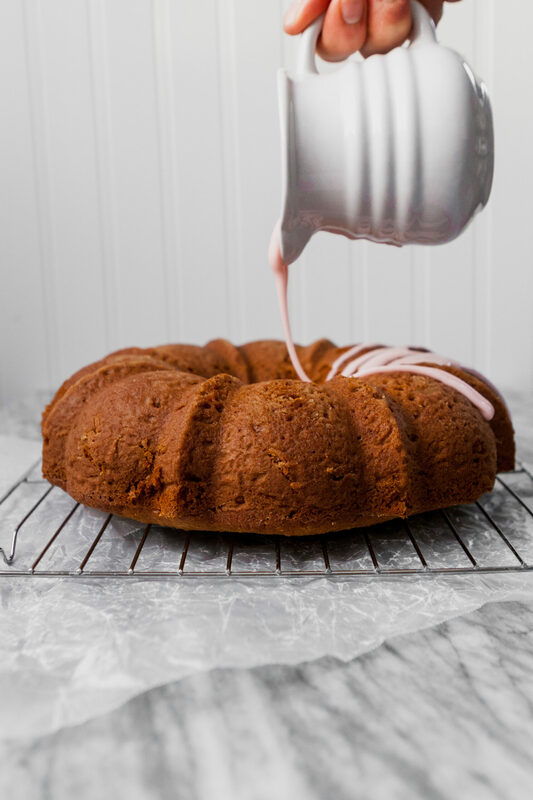 If you’re using a dark-metal bundt pan for the whole cake version, start checking the cake for doneness around 45 minutes. If you opt for a different type of gluten-free flour blend, add ¾ teaspoon xanthan gum to the dry ingredients. This post was created in partnership with NuLife Market. As always, all thoughts and opinions are my own, thanks for supporting companies who make Zestful Kitchen possible! How gorgeous are these cakes?! Obsessed with grapefruit!